You’ll know well enough that damp, salt and corrosion are your cars worst enemy during the winter. If the thought of leaving your car exposed to the cold winter elements makes your bones shiver then look no further. Our winter car storage package is designed to deliver peace of mind. Securely store and protect your performance or classic car(s) over the winter months. Give us a call – 01908 216166 – or click the button below. We stored John’s Mercedes CLK with Auto Classica Storage for the winter months. Nick and Henry couldn’t have been more helpful. Immaculate storage facility combined with the most professional customer service. A fabulous experience. Many thanks and see you again in October! 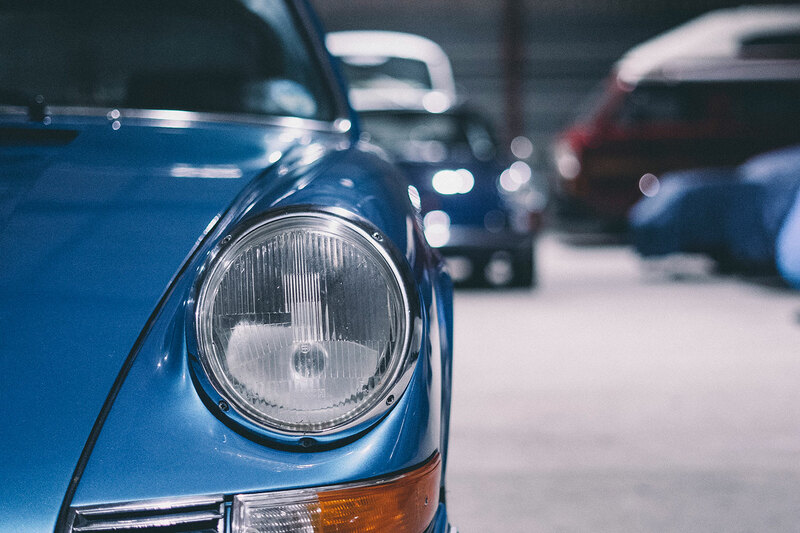 Our winter car storage service is for owners of classic cars, sports cars and luxury cars. We devised the service to keep costs low and your vehicle dry, safe and secure. We supply everything you need to keep your car in tip-top condition throughout its stay. Including a polythene dust cover, internal car seat and floor mat protection. Our customers rest easy knowing their cars are well looked after while the winter weather does its worst. It’s easy to upgrade your storage too, at any time, depending on your individual needs. We are very proud of both our ‘Premium’ vehicle care and management service as well as our climate controlled, air chamber (car bubbles) storage solution. Based in a discreet location less than 10 minutes from the home of Aston Martin Works Service in Newport Pagnell, Milton Keynes. We are 35 minutes from London by train and also serve clients from Beds, Bucks, Northants and Herts. As classic car owners ourselves we take immense pride in and responsibility for our clients vehicles for as long as they need and for a minimum of 12 weeks. Our clients leave their vehicles with us confident in the knowledge that they are guarded in a secure, dry and safe environment. To discuss your Winter Car Storage needs or to arrange an appointment please fill out the form opposite. All visits are strictly by appointment only. Thank you.